today i have Fant-A-Sea from Dermelect Cosmeceuticals All Decked Out collection to share! (it's a press sample, kindly provided to me for review). 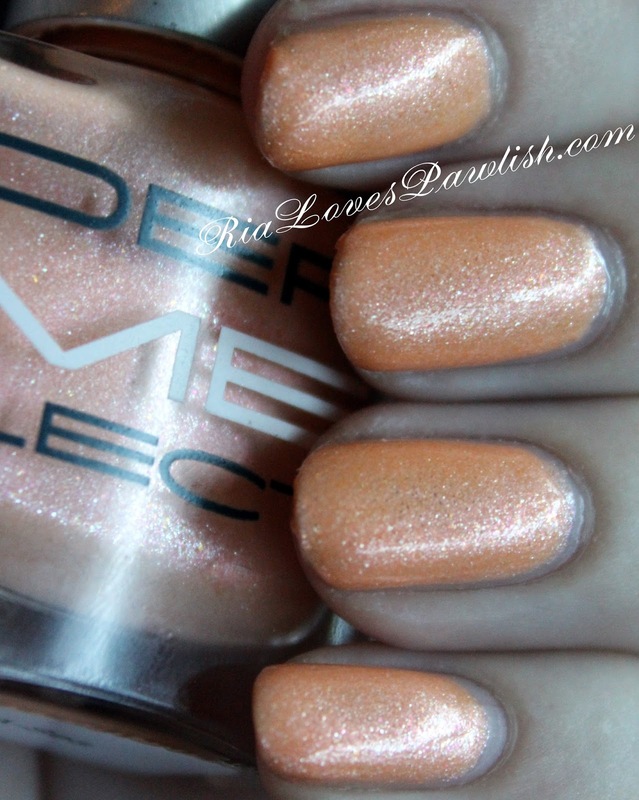 it's a pale peach shimmer that can pull a bit more orange in some lights! this is one you're going to want to be really careful in application to avoid patchiness; also, make sure not to make your coats too thick. that will cause wrinkling upon dry down. you will definitely want to use topcoat with this one to bring out all those sparkles! two coats Fant-A-Sea, one coat Dermelect Memento Manicure Extender Top Coat. (both are press samples).